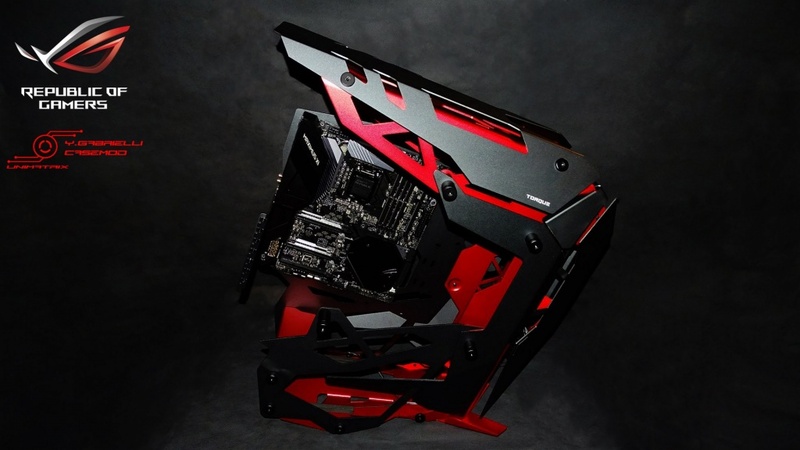 Discussion in 'Project Logs' started by Y.G Casemod, 15 Jan 2019. 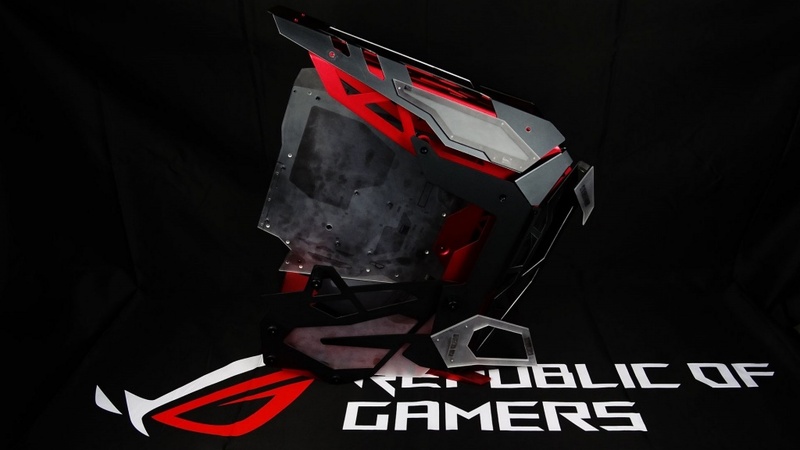 Special Extreme Mod on the fantastic Antec Torque case (pure science fiction). Meanwhile, let's start with the presentation, as said we are coming soon and soon I will start this mod on this fantastic houses because there are still things to be defined. As a premise I only say that when I did the unboxing I was literally shocked by this case. A big thank you to Antec Italia Antec, Inc and to Nexthardware for sponsorship and exclusivity (Big thanks). Here are the first pictures of the case in all its splendor. 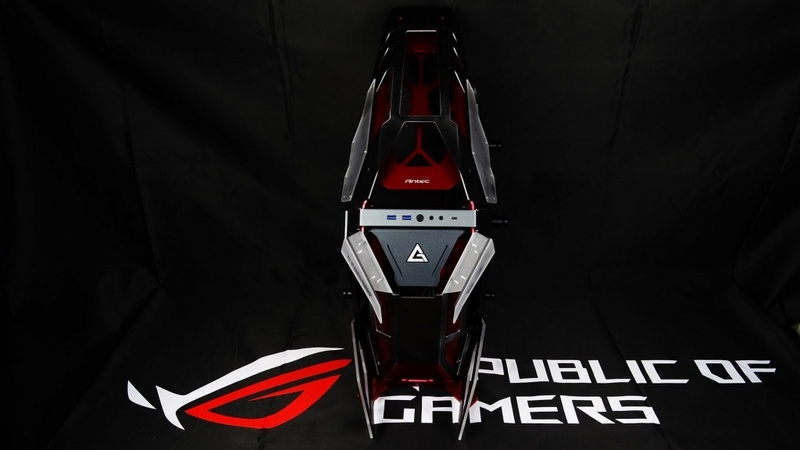 The monstrous Asus Maximus Extreme XI arrived. A big thank you to Asus who officially enters the project and a special thanks for having believed in this great sponsorship (Big Thanks). The Antec sponsor pack arrived, including the monstrous PSU HCP 1000 Platinum and 12 Prizm 120 ARGB fans. The PSU needs no introduction is simply a monster. I would instead like to stop for a moment on the fans. Each pack contains 3 fans a controller and 2 addressable RGB strips. After doing the unboxing I was very surprised in the positive, the fans have a solid chassis and shape of the blades for high static pressure suitable for radiators and airflow. They are equipped with dual RGB rings for optimal illumination from both sides. Product of excellent workmanship and aesthetically very nice and aggressive with an exceptional bundle complete with all the accessories needed for assembly. We thank Antec for the trust placed in the project and the huge contribution for sponsorship (Big Thanks). The first job to do is to make the cover of the mb tray that has a very particular shape and must be perfectly shaped. You browse at sight, and then later I will make other custom parts based on the ideas that come to me but that I already have in mind. 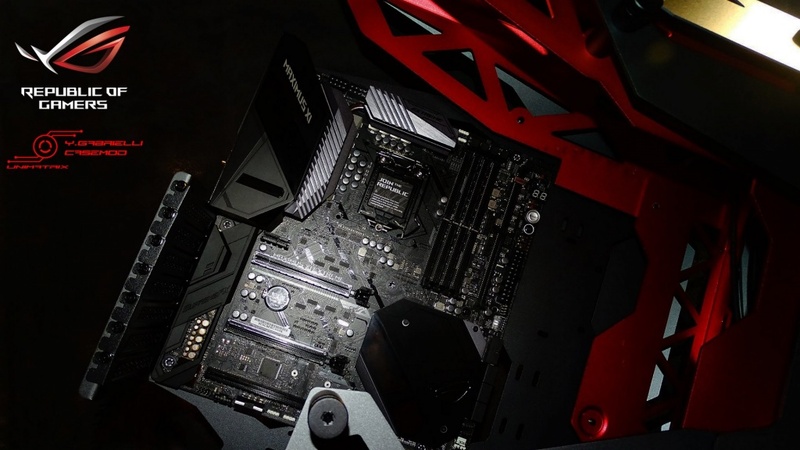 In these photos in addition to the Torque in all its glory I put to test the deadly Asus Maximus XI Extreme that seems born for this case and for the mod that I have in mind. I also anticipate that being an open frame it will have to be moddato also from the opposite side to the mb, and all the wiring will have to be practically invisible. There is a lot of work to be done to make an ultra extreme mod on a case that is already extreme in its stock base. There will also be nice goodies ..
Made the cover of the mb tray (first part) and the first part (mb side) of the PSU cover. 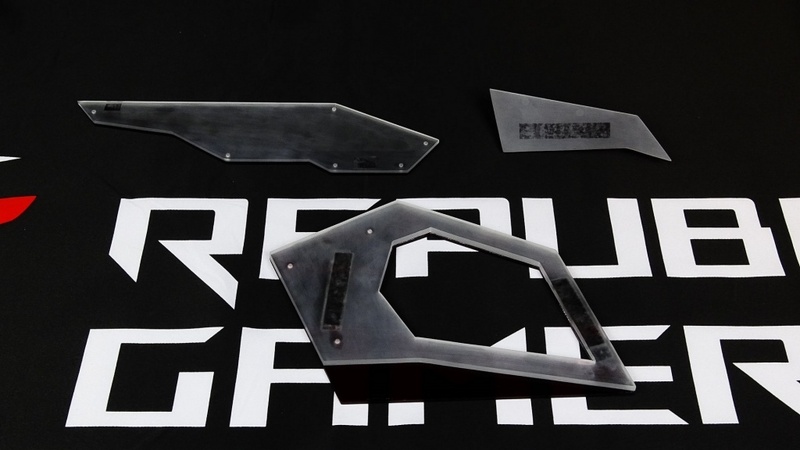 Very complex job to realize since all the parts must be shaped perfectly in line with the aluminum parts of the case. Also set the cutting lines for the frontal openings to further increase the airflow. The design is already very very aggressive. So much work to do but it goes on quite quickly. On this kind of case, I'd be tempted to 'close it up'. -Fill in the back and gaps and stuff, just to show it could be done. That flash is killing your pics YG use some lighting and turn off the flash. Eliminated the flash, maybe increase the intensity of light. Also made all the wiring cover on the opposite side to the mb tray including the underlying cover that will hide the psu (a nice puzzle to solve). Obviously it's all in evidence and it's still all to be finished. All the backlighting is naturally provided with dedicated patterns that we will see later in the painting phase. Very complicated job, but now the cables since the case is an open frame, where in normal conditions they would be seen in all their ugliness, they are no longer a problem. In the photos all the construction process. 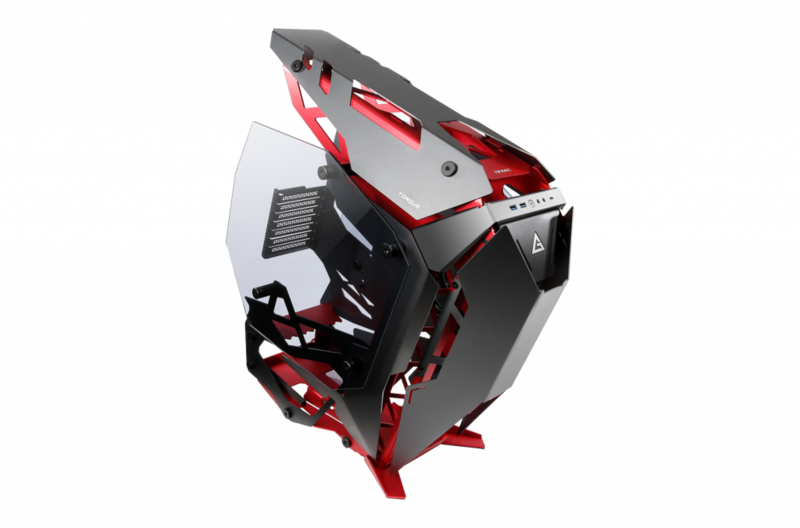 Perform all openings on both the front and top for airflow improvement. The design is very very aggressive as I set myself. Meanwhile, we begin to see the first gem, or the change to the tilting opening with an electro-hydraulic top actuator. I took a zipper and then I created the necessary thicknesses, then after taking all the multiple measurements (one hundred measures a cut) made all the holes and the necessary threads I made the pre-test trial. Everything ok and everything fits perfectly. Later we will see the whole development of the mechanism and its assembly. 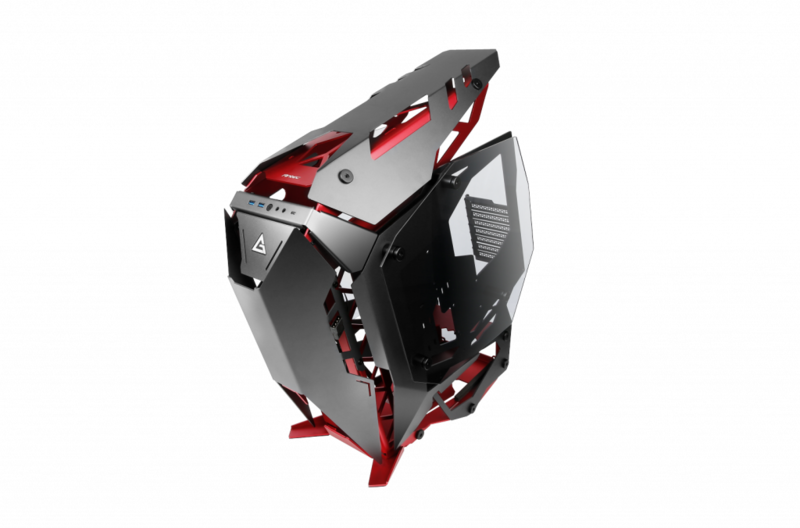 XPG Spectrix D41 32 GB (4 x 8) 3600 MhZ in titanium red color (monstrous). 1 x M.2 XPG SX 8200 Pro 512 GB. 1 x SSD ADATA SU 750 256 GB. A big thank to ADATA that also this year supported me by entering as a sponsor in this extreme mod with first-class products of the highest quality as we are used to. A new update very soon. The realization of the parts continues. Realization of deflectors on the lower sides, those on the upper part of the front and the covers with predisposition for the backlighting on which the name of the mod will go on the sides of the top of the case, components that I made to make the mod. 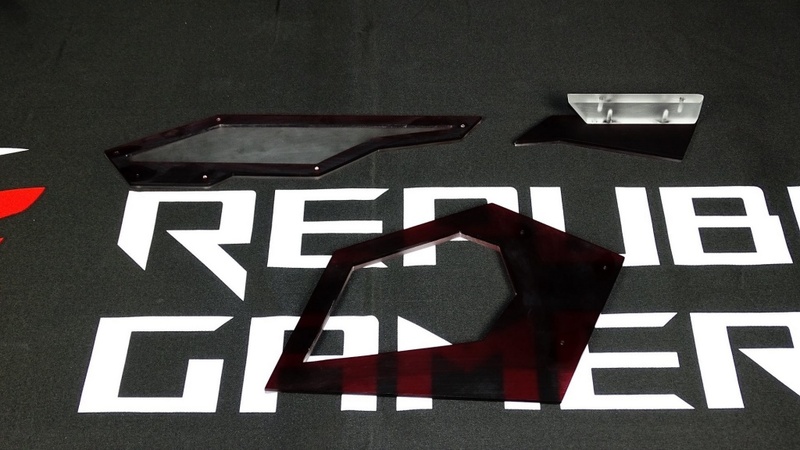 It should be noted that the parts were made in two specular parts with transparent plexy (appropriately satin-finished before painting) and red plexy (same treatment). The painting of these parts will be very laborious and complex since only the red border will be seen and the rest will be painted in metallic gray like the case, so forward, but sure it will come down all over the sky for as many as I pull. That said The case with these parts is more slender and extremely bad. 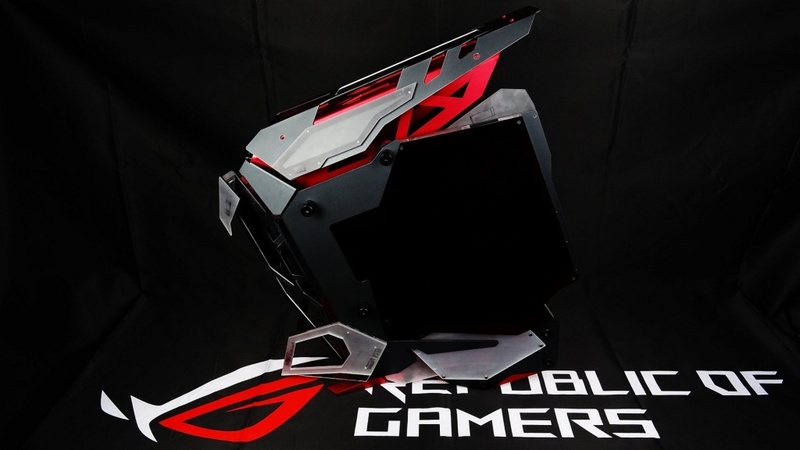 In the photos we will see the case with the pieces in pre-test format and the parts in detail that obviously have been made for both sides in a specular manner.